As a 20 page-per-minute digital multifunction solution, the imageRUNNER 2000 is the key to taking your business to a higher level. 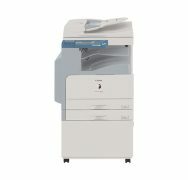 The 20 page-per-minute imageRUNNER 2010F is a digital copier with standard Super G3 faxing features and optional network printing and "push scan" capabilities. 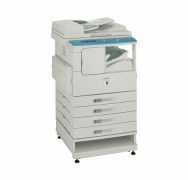 At up to 16 pages per minute (letter), the imageRUNNER 2016 provides digital copying, networking printing and optional fax capabilities to meet the most critical needs of small business environments. 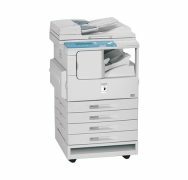 Operating at speeds of up to 18 pages per minute (letter), the imageRUNNER 2018 provides digital copying, networking printing and optional fax capabilities to meet the most critical needs of small business environments. At a speed of up to 18 pages per minute (letter), the imageRUNNER 2018i provides a suite of capabilities for small businesses and workgroups including full color document distribution. 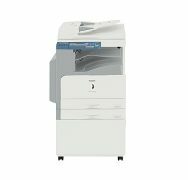 Operating at up to 20 pages per minute (letter), the imageRUNNER 2020 delivers the advantages of digital copying, networking printing, and optional fax capabilities to small businesses and workgroups requiring basic yet expandable functionality. 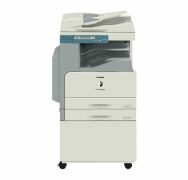 The imageRUNNER 2022, operating at a speed of up to 22 pages per minute (letter), delivers the advantages of digital copying, networking printing, and optional fax capabilities to small businesses and workgroups that require basic yet expandable functionality. Whether you're growing a company, or a corporate workgroup, the Canon imageRUNNER 2022i will give you the tools you need to create and distribute the information that fuels your business. The imageRUNNER 2025i, operating at up to 25 pages per minute (letter), offers fully-integrated color communication features and a complete suite of functionality for small businesses and workgroups.